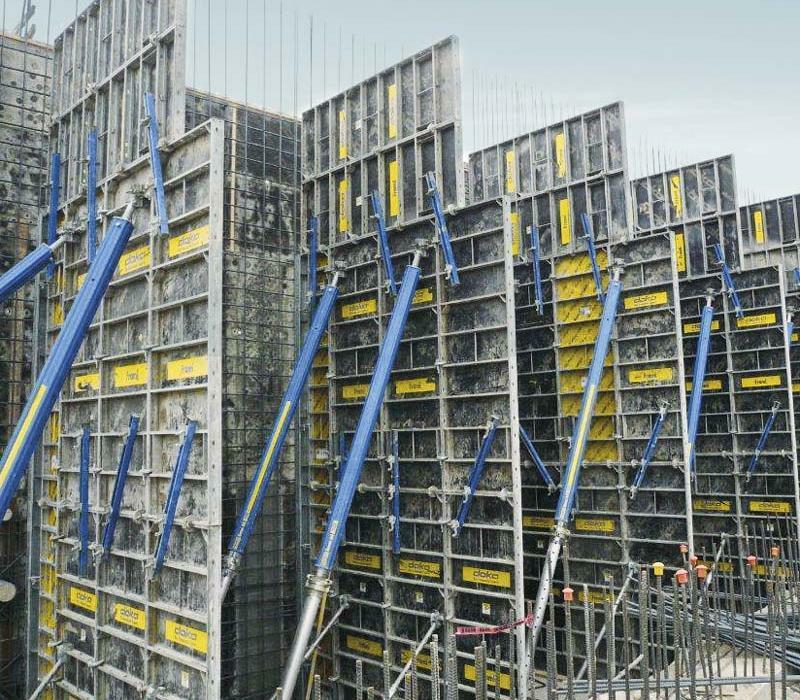 Doka Frami formwork system exceeds expectations. 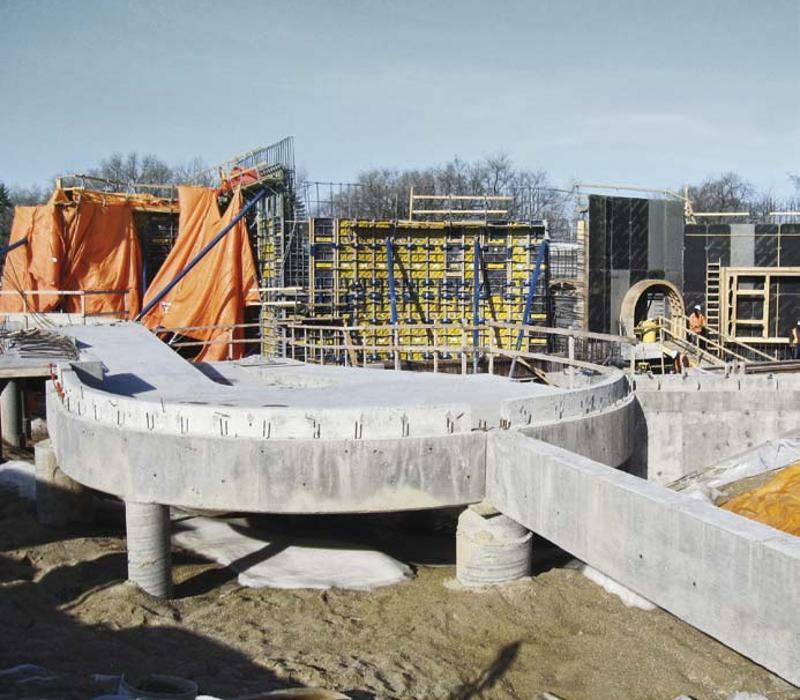 Located in the Assiniboine Park Zoo in Winnipeg, Manitoba, the Journey to Churchill exhibit located in the 11-acre Arctic Animal area began in April 2012. The goal of this project was to profile the Churchill Manitoba area and the interesting flora and fauna common to the region. The owner sought to recreate arctic and sub-arctic tundra conditions accurately enough to look like the real thing. 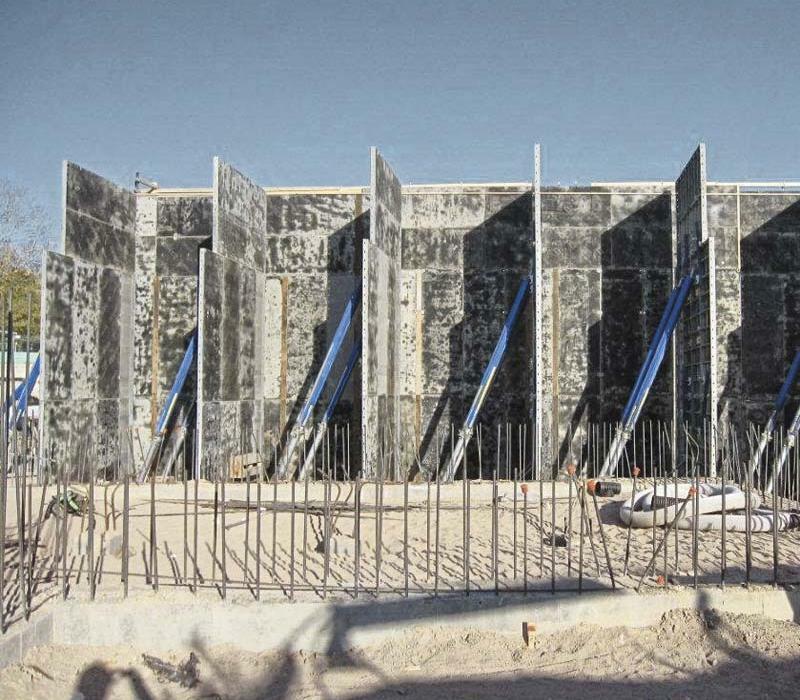 Doka supplied framed formwork Frami for two main elements on this project, which was light enough to be used as a handset, yet could be ganged where appropriate. The barrier walls constructed were required to stop animals from escaping, and filtration tanks were used for the processing of the sea water required to maintain proper levels of salt water for seals and aquatic creatures. 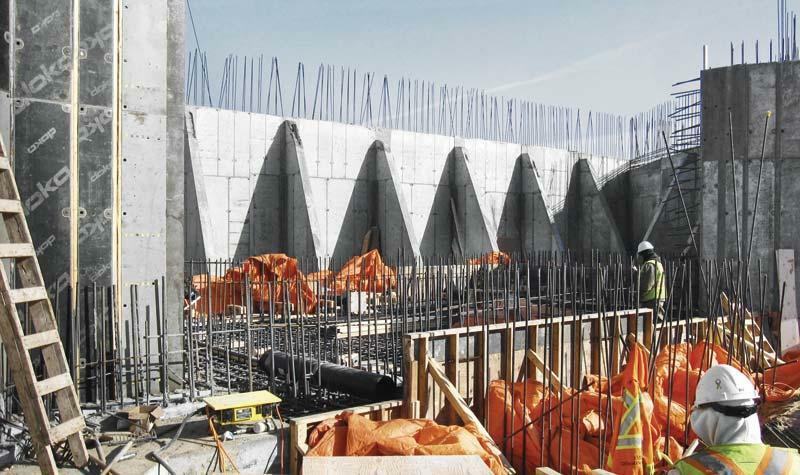 In an effort to reproduce landscape conditions of the Churchill area, large rebar cages covered with mesh will be fixed to the Doka formed barrier walls. These will then receive a layer of shotcrete to produce a rock-like appearance similar to the Hudson Bay topography the animals come from. The Journey to Churchill exhibit, to be completed in the summer of 2014, enables visitors to experience Churchill in a realistic manner without having to make the expensive journey. The project will profile the Churchill Manitoba area and the interesting flora and fauna in the region. Doka's framed formwork Frami is light enough to be used as a handset, yet can be ganged where appropriate. Thank you for your interest - Assiniboine Park Zoo – Journey to Churchill. Thank you very much for your interest - Assiniboine Park Zoo – Journey to Churchill.